A representative for Juan Guaido called on the military to allow the aid in. 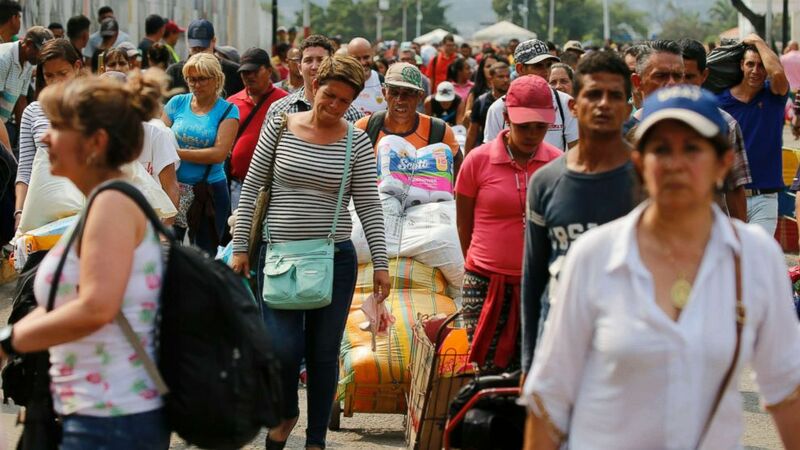 The first round of humanitarian aid provided by the United States government to Venezuela was unveiled at the Tienditas Bridge in Colombia on Friday. It was stored only a few miles away from thousands of Venezuelans who desperately need it. 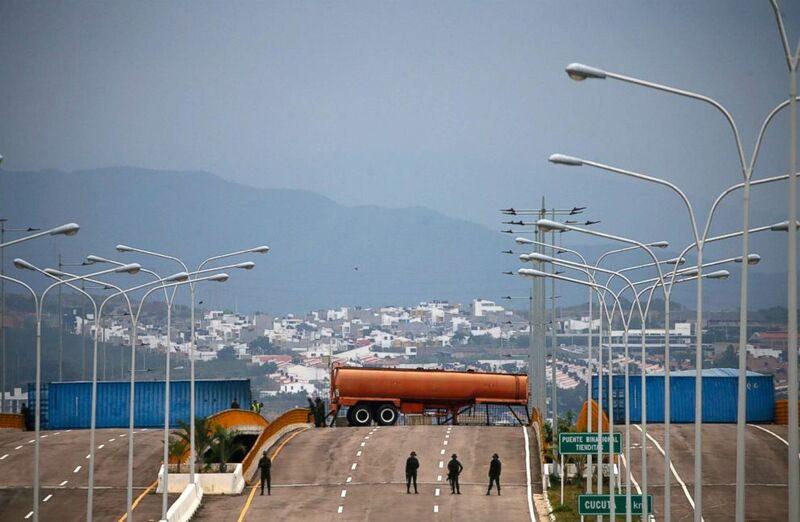 (Fernando Llano/AP) Bolivarian Army soldiers stand guard on the Tienditas International Bridge that links Colombia and Venezuela, near Urena, Venezuela, Feb. 8, 2019. (Fernando Llano/AP) Venezuelans return to their country through the San Antonio del Tachira, Venezuela crossing, after shopping in Cucuta, Colombia, Feb. 8, 2019.